Quality in a glass. Heavy on hops, light on malts, this award winning American pale ale is a must to try. DELTA A.P.A. 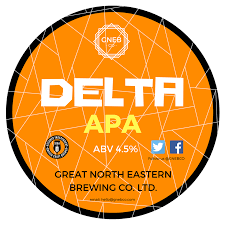 has come 2nd in the Tyneside & Northumberland CAMRA Battle of the Beers 2018 APA.